Navigating through the downtown streets of Skopje is like walking through the first and second world all within the span of 100 meters. But one thing’s for certain the food will inspire. Of course the designation of first, second and third world categories are themselves a product of a global economic structure that neither you nor I had any say in creating. And you can feel it here in Macedonia twenty five years removed from the final collapse of Yugoslavia. It’s not my first time visiting Skopje. I first came here on the invitation to present on one of my first books on Hegel back in 2011. Then I returned in 2015 to talk about philosophy and education. This time I came on the invitation to speak about philosophy as a mode of production for the Art and Culture festival held in the famous Contemporary Art Museum that sits on top of the only hill in downtown Skopje. The museum, like almost everything here, has its own unique and deep history. It was the first Contemporary Art museum built in Southeastern Europe back in 1964, just a year removed from the catastrophic earthquake that flattened Skopje in 1963. It is telling how the world responded to this crisis moment for Skopje. It was Afghanistan that provided the first aid funds to this city nested in the mountains. When Prof. Artan Sadiku told me this story I was shocked. Afghanistan? It’s a reminder of just how dramatically the world has shifted in a relatively short period of time. This is Skopje. Almost everyone here speaks or understands English, and I ran into a few Americans in the city as I was looking for historic sights. Yugoslavia is a socialist government that didn’t fold into the USSR, and most everyone I asked -- and I asked lots of folks what they thought about Yugoslavia -- almost everyone wished those days would return. They spoke with a deep longing for the Yugoslavian days. The intellectual scene in Skopje is vibrant; indeed every night there are meetups for artists, philosophers and readers. The community center is full of youthful energy. There is hope in the city of Skopje. By contrast, the intellectual scene in New York City seems all too pretentious. For folks who want to gather to discuss ideas it seems you need a sponsor that grounds the meeting and makes you feel legitimate in attending. In the States, it feels like the intellectual environment only exists if you have a bank or a corporate university backing it. 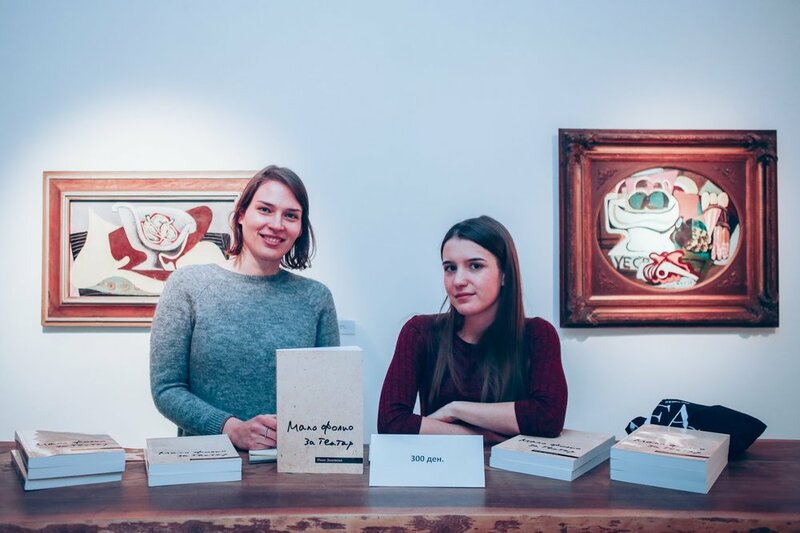 In Eastern Europe you just meet-up, open a novel or a book of poetry and the discussion flows into all sorts of topics that make you feel deeply connected as a community. Festival organizer, Elena Veljanovska introduces a speaker. CRIC--The Festival of Critical Culture organized by Kontrapunkt was a month long series of lectures, art exhibitions, films and live music from leading academics, musicians, and artists from all over the world. The schedule itself was literally a book. It was held at the beautiful Museum of Contemporary Art. My talk was about philosophy as a mode of eco-production, meaning that thinking -- itself -- is always, already, part of a materialist economy, and the point is to think within an economy that allows thought to reproduce its own non-reductive conditions of thinking. Prof. Artan Sadiku (a professor of political philosophy in Belgrade) was one of the organizers along with Iskra Geshoska (a community organizer) and Elena Veljanovska. Sadiku is well known in the region for his works and his activism. I always enjoy my time in Macedonia. The food and conversation are a way of life, a way of life that doesn’t look to hide behind symbols of power and dominance in order to be “legitimate”. It’s a refreshing reminder that intellectuals and artists are alive and producing ideas for a better world.